Saudi Arabia and its Gulf allies are willing to devastate Yemen to forestall any democratic progress. According to the United Nations, the bombing campaign has caused the deaths of more than 1,000 people, of whom an estimated 551 are civilians. At least 115 of these victims were children, UNICEF said. Aside from the wanton killing of Yemeni civilians, the main Saudi achievement to date has been to empower the Yemeni branch of al-Qaeda, al-Qaeda in the Arabian Peninsula. Its actions may have even allowed the “Islamic State” to establish itself in Yemen. Al-Qaeda in the Arabian Peninsula has now expanded its areas of control in the country, with several ports falling to the group under the protection of the Saudi bombing campaign. Although ostensibly foes, the Saudis are now in a de facto alliance with al-Qaeda in Yemen, much as they are in Syria. The main Saudi goal of dislodging the insurgent Houthi movement has failed as well. The Houthis remain more determined than ever to have their say in the future of the country. The fundamental problem that the Saudis and their reactionary Gulf allies face is that, despite all the cant and rhetoric about supposed “Iranian meddling” in Yemen, the Houthis are Yemenis. They are mostly Arabs, not Iranians, and are native to the country. They are not foreign invaders; the movement represents a historically marginalized community that wants a say in how their country is run. The headlines about Yemen in the Western media, such as they are, constantly shriek about how the Houthis are an “Iranian-backed” group. This is true in a very limited sense, but it obscures the more fundamental point that the minority Zaydi religious community that the Houthi movement represents — and which has important differences with the version of Shiism observed by the Iranian government — is indigenous to the country and cannot be dislodged by any bombing campaign. Recent reports about the Saudis training tribal fighters to combat the Houthis on the ground suggest the Saudis realize this. The Houthis simply cannot be reduced to an Iranian proxy. Last year, for example, the Iranians discouraged the Houthis from taking over Yemen’s capital, Sana’a. They went ahead and claimed it anyway, giving them more leverage in the political negotiations that followed. So if Iranian influence isn’t the overriding factor, what is really behind the Saudi war on Yemen? The former United Nations envoy to Yemen, who was responsible for negotiations in the country until recently, revealed that the warring factions were on the brink of a power-sharing deal just before the war began. 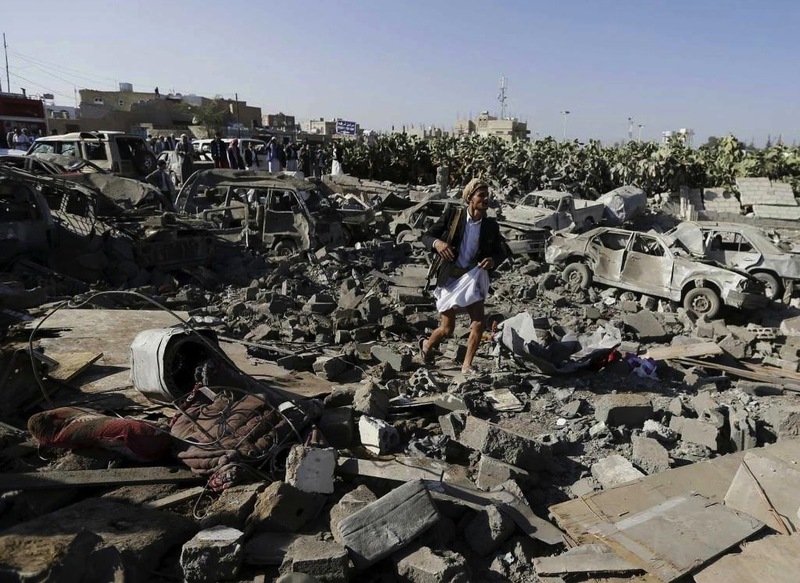 The Saudi-led war on the country aborted those talks. The Houthis were even willing to allow Abed Rabbo Mansour Hadi to stay on as part of a presidential council that would have replaced the role of the presidency as an interim measure. As the Zaydis are a minority religious community, the Houthi movement did not want to rule the country, but did want assurances they would have representation in the power-sharing deal. Hadi, on the other hand, came to power in an election in which he was the only candidate. Something that looks like it may ultimately lead to anything resembling democracy in the region is considered a threat to the Saudi dictatorship, its Gulf allies, and the United States. They’ll continue to block any attempt at a political solution to the crisis in Yemen, costing thousands of lives in the process. Asa Winstanley is an associate editor at the Electronic Intifada and an investigative journalist. He lives in London.